Andrew is joined by JJ (@JJFromTheBronx) to co-host the first half of today’s show. We announce that JJ will be joining Bronx Pinstripes to do video content and a new podcast with Keith (@Keith_McPherson) that will launch later this month! 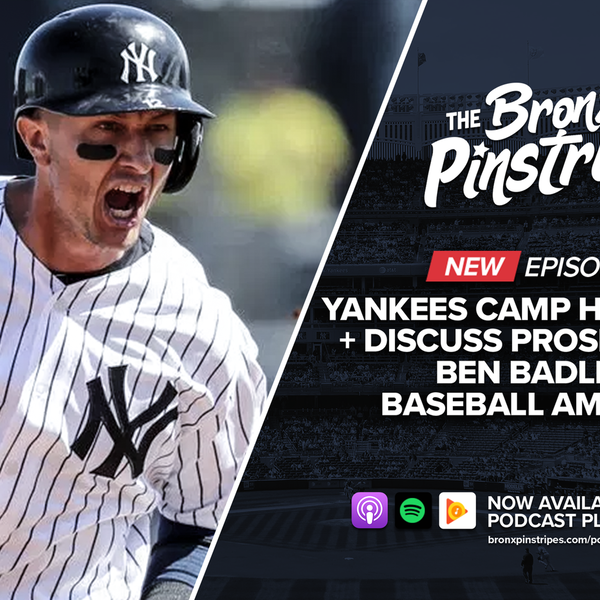 Topics this week include: Troy Tulowitzki hype, Clint Frazier possibly starting the year in Scranton, Jacoby Ellsbury’s continued injuries, Bryce Harper’s 13-year mega contract, NYY platoon positions and roster construction, extending Aaron Judge, comparing the Yankees and Red Sox off-seasons, marrying a fan of your rival team, and more. (01:20:00) Ben Badler (@BenBadler) from Baseball America joined Scott to discuss how he evaluates talent and prospect rankings, key Yankees prospects Estevan Florial, Anthony Seigler, Michael King, and Antonio Cabello, the international signing process, and top international prospect Jasson Dominguez.